The health care services department at the California Men’s Colony in San Luis Obispo sent out 66 layoff notices giving a six months warning of layoffs to take effect Dec. 1. The state is sending more prisoners offsite for health care, which is then paid by the federal government. Since 2006, state prisons have been reducing their population numbers through early releases and then in 2011 through realignment in which non-violent prisoners with sentences of several years or less serve time in local jails. As a result of realignment, prison populations have decreased. The realignment had been initiated to meet federal judicial orders to reduce California prison populations in order to provide better health care for inmates. Opponents of realignment had warned that shorter prison sentences would lead to an increase in crime. However, recent reports show that states that have decreased inmate numbers have seen a larger reduction in crime than the rest of the United States. “The state is sending more prisoners offsite for health care, which is then paid by the federal government.” Check your source and then fire him/her. 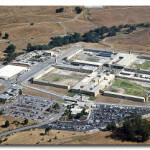 The fed does NOT pay for offsite inmate healthcare. Rather, the appointed federal receiver, Clark Kelso, spends CDCR funds to operate CCHS and imposes policies driving the agency’s medical costs. CCHS is a CDCR carve-out which, once (if) Kelso tells Judge Henderson inmate healthcare is up to par, will revert to CDCR control. Also, if crime is down post-realignment, someone should tell the overwhelming majority of the state’s sheriff’s so they can pass it along to the erstwhile CDCR parolees jamming the booking areas and jail cells. More people in prison for longer terms creates more government jobs. Then of course we need more teachers also on the government dole. And more bureaucrats to administer these government jobs. And then lifetime pensions for all these workers who never actually contribute anything to the economy. A job that sells a product or a company that makes something that can be sold to create even more jobs is a foreign concept to these people. Capitalism is evil and Socialism is good is how they actually think. God Help Us! I have always regarded our prison system as “college for crooks.” It doesn’t have to be that way but making a prison system that focuses on rehabilitation more than punishment requires a trust that the long-range payoff will be worth the initial expense. Most Americans are under the illusion that long prison terms will force people to magically change their behaviors for the better to avoid future punishment. So they voter for tougher laws, longer sentences and don’t think about long-term consequences. The punishment avoidance motivation works for a few, but very few. More come out worse than when they go in and get more training in criminal job skills than in productive ones. They are also heavily handicapped in finding legitimate jobs by their ex-con label. We need to revamp our entire justice system in this regard but it probably won’t happen as most voters are swayed more by emotional appeals to fear and anger than by evaluation of what will actually work the best. So we get overcrowded prisons that federal judges have decided constitutes Cruel and Unusual Punishment and force us to let people out early anyway. The notion prisons should rehabilitate offenders is a 19th century, American invention which has proven time and again to be a well-intentioned farce. Under the model California adopted along with determinate sentencing, incarceration is designed to segregate convicted felons from society and keep them safe until the imposed term is complete. Programs such as AA/NA, remedial education (GED) and the chaplaincy were provided and that was about all. Which is to say, our prisons do a great job of keeping the public safe. They weren’t designed to be re-education camps. Offenders who do not die young or end up serving a life term eventually burn out, usually in their 40’s. Historically, our numerous, expensive forays into a so-called rehabilitation model have little or no impact on the recidivism rate. On balance, the successful inmates and parolees I worked with managed to improve themselves despite the corrections/parole system. Which is to say, people who want to change MAY change, people who don’t want to change will not and, MOST IMPORTANTLY, people who think the government can or should change hearts and minds doesn’t understand the constraints of our Constitution. But what do I know? I am just an ex-guard, retired parole agent. What a difference a decade or so makes. Back in the day, the Department of Corrections had the Governor(s) in their back pocket, making the sweetest collective bargaining deals much to the chagrin of the taxpayers. I guess it’s time to pay the piper. I believe you mean the union, CCPOA, not CDCR, “had the Governor(s) in their back pocket making the sweetest collective bargaining deals much to the chagrin of the taxpayers.” CDCR is an agency under the Governor’s authority, not a union.